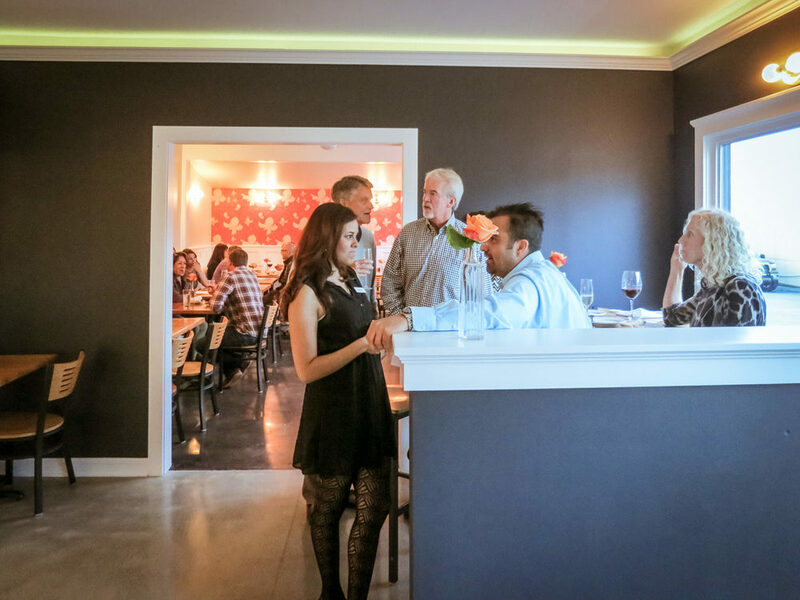 Get an eyeful of the new, bright and bushy tailed Provisions Restaurant in East Millcreek which is housed in the former Lugäno space on 3364 S 2300 E. Still in transformation but looking great at the preview dinner we attended this past Tuesday. I was happy to assist chef/owner Tyler Stokes with the branding, menu and web design of Provisions which took cues from the interior touches designer Rachel Hodson brought to the project ...like, that amazing wallpaper. The punch of modern coral orange is kept at bay by classic, clean white moulding and a slick grey cement floor throughout. Orange continues into the kitchen, cladding the wood-fired oven in a warm inviting glow. Stokes was associated with two restaurants prior in Sun Valley, Idaho, (Owner of Dashi and Executive Chef of Globus which was featured on Rachel Ray) opened Provisions to highlight "regional, organic and sustainable ingredients... using new and old world technique’s to create exciting flavor profiles, textures and visual enjoyment." 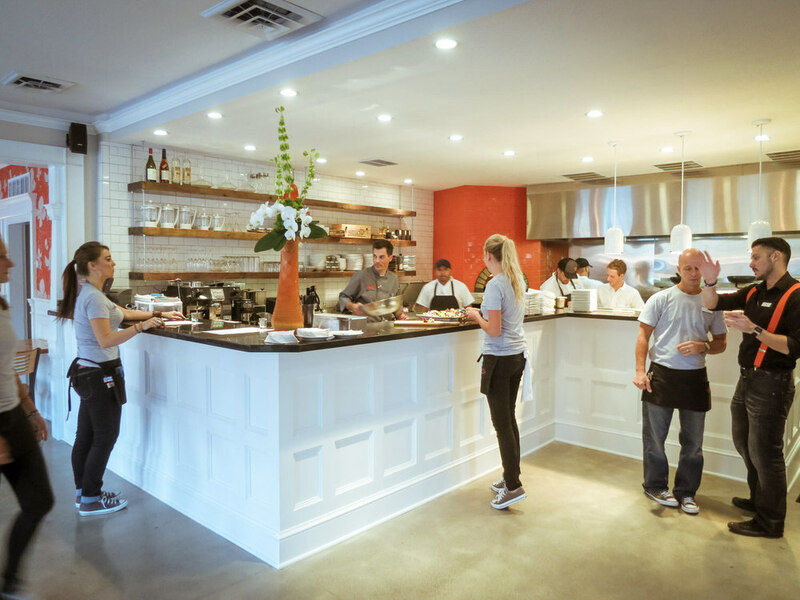 What's also inspiring is that he'll be serving house made pasta, wood fire pizzas, seafood, local meats and vegetables from the same kitchen he worked in as a teenager growing up in nearby Park City. An impressive third act from a young and talented chef. More information and reservations can be found at www.slcprovisions.com.